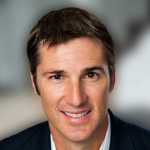 Former Baltimore Ravens kicker and two-time Super Bowl champion Matt Stover has been named an honorary board member for the Casey Cares Foundation, a 501 (c) 3 non-profit organization dedicated to providing little moments and lasting memories to families with critically ill kids. Stover, a Pro Bowl kicker who has been inducted into the Baltimore Ravens’ Ring of Honor, has been a longtime supporter of the Casey Cares Foundation. He and current Ravens kicker Justin Tucker, participated in a Sports Legends Series fundraising event for Casey Cares, and Stover has attended several program events for Casey Cares families.